We all have our comfort zones. Your favorite restaurant. Your favorite grocery store. Your favorite route to work. Your favorite chair at home. We like staying in the comfort of what is familiar. But Easter pushes us way beyond what is familiar. When was the last time you heard of an executed convict becoming one of the great religious leaders of the world? And even more, when was the last time you witnessed someone come back to life after being dead for two days? Easter definitely takes us out of what is familiar and puts us squarely in the middle of something so strange, so new, that it changes everything and everyone. No one can stay in their comfort zones in new light of that first Easter morning. In our lesson from Acts for today, there’s a lot that lies behind the seemingly simple story of Peter’s preaching. In the first place, Peter was preaching to the household of Cornelius, a Roman Centurion. He wasn’t preaching to Jewish people at the local synagogue. He was preaching to a gathering of Gentiles--and to the family and friends of a Roman soldier! Normally Peter would not even enter such a home. Probably a short time earlier, in Antioch of Syria, he had refused to even eat with Gentile believers converted by Paul’s ministry (Gal. 2:11-14). And in this case, Peter only consented to go to this unfamiliar place because God had specifically commanded him in a vision to do so (Acts 10:9-20)! I’m not sure Peter knew what to expect when he went so far outside his comfort zone. All he knew was that he had been commanded to go. And when he got there Cornelius told Peter he had been commanded by God in a dream to seek him out and listen to whatever he had to say. That was Peter’s cue. He finally put all the pieces together and realized that God wanted him to tell them the good news about Jesus, because God would accept people from all walks of life, from all ethnic backgrounds, from all races and classes (Acts 10:35). It was one more sign that Jesus’ death and resurrection had changed everything and everyone. In case Peter had any lingering doubts, the Spirit came upon this group of foreigners just as he had come upon the Apostles on the day of Pentecost! God made it crystal clear that the amazing events of Jesus’ death on the cross and his resurrection from the dead were changing everything and everyone. No one could stay in their comfort zones any longer. One of the ways in which the apostles talked about Easter was by repeating again and again that God had chosen them to be witnesses to Jesus’ resurrection and therefore to testify to what they had seen. But as is the case with the way God always “chooses” people, it was not for them to enjoy a special privilege, but rather it was for them to carry out a task. They were chosen to spread the news about Jesus’ death on the cross and his resurrection from the dead changing everything and everyone. I doubt any of them could foresee what that would mean for them. Although some of the Apostles were slow to leave their own “comfort zones,” various events made it impossible for them to avoid spreading the good news beyond Jerusalem and Judea and even beyond Galilee to the “ends of the earth” (Acts 1:8). The purpose of their calling was to take the message to all people everywhere. That is a continuous theme in the Scripture lessons throughout the Easter season--that they were to spread the news far beyond their “comfort zones.” The Scriptures repeatedly express the idea that the purpose of our experience of new life through the death and resurrection of Jesus Christ is to spread the news far and wide. And that means going beyond our comfort zones. © 2013 Alan Brehm. A sermon preached by Rev. 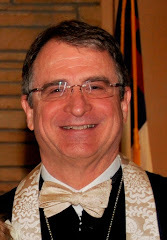 Dr. Alan Brehm on 3/31/2013 at First Presbyterian Church of Dickinson, TX. Cf. Willimon, Acts, 3;cf. 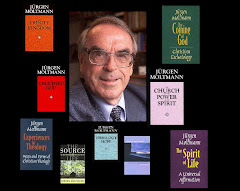 also Jürgen Moltmann, The Way of Jesus Christ, 26-27, 28, 30, 32-33.J. Moltmann, The Church in the Power of the Spirit, 98-99, 191.